Longtime actor who portrayed the protagonist Llewelyn Moss in No Country for Old Men. He has also played prominent roles in the films The Goonies, Men in Black 3, True Grit, and Milk. He portrays the villain Thanos in the 2018 film Avengers: Infinity War as well as in Deadpool 2. 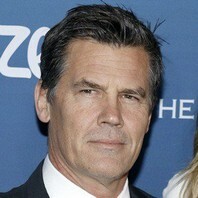 How much is Josh Brolin worth?